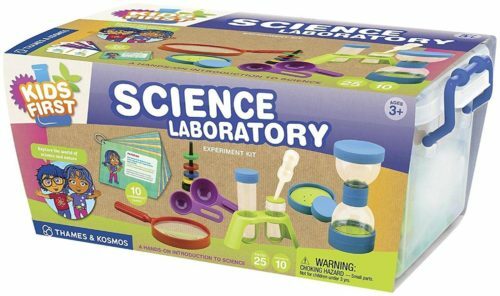 There are loads of different science kits to choose from and we know it can be confusing sometimes which types are ideal for younger children to begin experimenting with. Therefore we have picked some really cool experiment kits. In this review, we have reviewed a whopping 32 science kits that stand out as the best overall, so choosing couldn’t be easier. All have an appropriate age guide so you can’t go wrong with picking. Science is awesome and with various branches of science, there is always something to learn and discover. Throughout this article, we will explore some of the best ways to encourage your children by using education science kits, which are everything from pure sciences, life sciences and the science of matter. Biology kits exploring living organisms. Geology kits for looking into rocks and the earth’s core. Physics and the study of matter and motion, and its behavior through space and time. 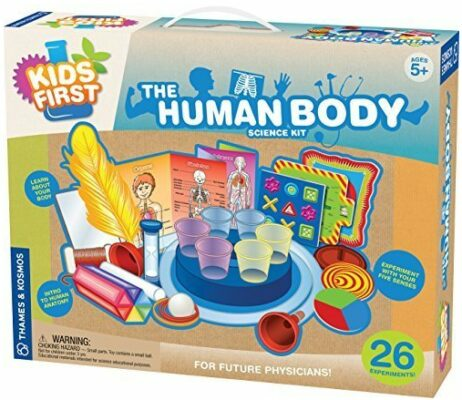 Human Biology set, which focuses on the anatomy. Oceanography for learning about the ocean and its creatures. Robotics for those kids eager to build robots. Education and science go hand-in-hand and one without the other is a sad time for any child indeed. There are loads of ways to get your children into science and the sooner the better. One way is to have fun with scientific experiments that use hands-on learning techniques. The hands-on approach is ideally what young scientists want to do and the less theory the better, especially when they are so young. This is an open-ended box that provides loads of learning opportunities with experiences inside which are fun-filled and jam-packed. This includes stimulating tools and creative ways to get them thinking and trying new ways to figure out problems with engaging, safe and scientific methodology. Experiment, play all mixed with an observation that makes the spirit of science fun for forward-thinking parents and growing toddlers. 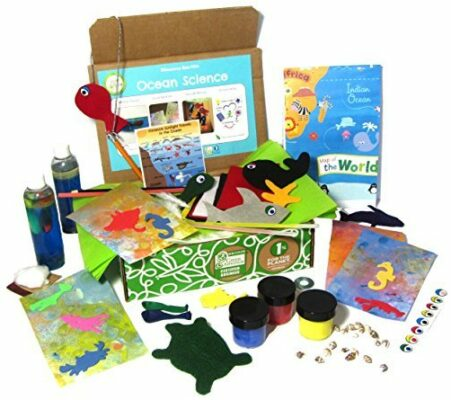 Ocean science makes creative kit box sets for younger children to begin to explore the complex world around them and in this case, it is the ocean. This is an award-winning eco-friendly creative activity and although not strictly an experiment this does get their imagination thinking, which is essential for moving to the more completed aspects of science. There are loads of concepts like “ocean motion and movement” and explores the sea ranging from; coral reefs, oil spills, jellyfish and felt sea life that could potentially get caught in a net. Green kids craft is a STEM eco-friendly science activity for promoting awareness and get them actively playing whilst learning. This is an award-winning toy named by Dr. Toy’s green award and won parents choice. This involves painting, stone identification and basic geology for the young enthusiastic geologist in the making. There are hours of play in this and with an adventure guide, they can follow step-by-step guides to make use out of all the learning activities. 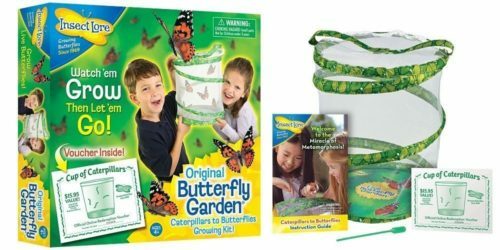 This growing kit helps toddlers appreciate the beauty that nature has to offer, which can be seen when a caterpillar turns into a butterfly. The box comes with all that is needed to watch them up close and personal, which includes complete step-by-step guidelines. This does not come with the caterpillars and will need to ordered separately, but it’s well worth for a once in a lifetime experience. Cubelets are a fun way to get your kids thinking outside the box and become future think-tanks that pave the way for science to unfold. They case their idea on robotics and they aim to teach the fundamentals for constructing robots. This teaches the design and complex systems for taking the tiny cubes to making huge robotic designs. This is really easy to handle and with a convenient charger and micro USB cable, this can be used throughout the day. This is an excellent science kit for older kids and teenagers. Your child will love building their very own Star Wars-themed droid with this fun and educational set. It includes everything your child needs to build and operate their very own droid and can be customized in any way they choose. There is an app available for iPhone and Android which can be downloaded and used to teach the droid new skills. The app can also be used to set the droid Star Wars-based missions. 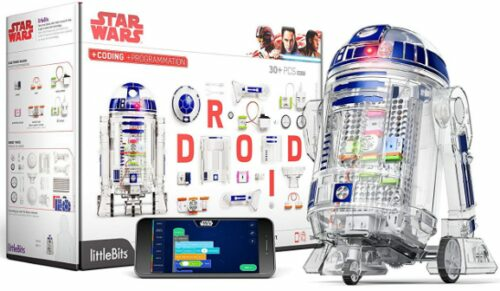 This product is great for encouraging your kids to be creative and use their imaginations, giving their droid its own unique personality. The droid can be dismantled and put back together in new, different ways giving your child endless possibilities. This kit is compatible with other kids from littleBits, meaning you can combine them to give even more fun opportunities. The droid can be controlled via a remote control available on the app, or it can be set to self-navigation mode. Your kids will be amazed to see their creation roll around the room by itself without crashing into any objects in its path. The anatomy of the human body is fascinating and this science kit makes learning about it very easy and fun. This kid’s first kit uses the five senses to experiment with and finds out where each body part it. This really teaches the fundamentals of biology and how the human body works. This is a step by step guided kit for experimenting with a hands-on approach, which is great for young children at school. Explores the human body and then focuses on muscles, skeletons with anatomical visuals. Chemistry is a tough subject and this game does very well in making this a fun. By making learning creative they have combined the popular “magic school bus” series into an activity to teach young kids. They will learn to use some of the fundamental beginnings of lab work that kids would eventually do at school, but this will help get them ahead of the class. This is a cool way for kids to learn about earth treasures from a geological perspective. There are loads of specimens and each is highly polished and make the rocks come to life with individual names and identification guides. This is a game that includes tests will they learn and is ideal for elementary and early developers. An easy game where you need to collect 6 horizontal cards and then aim to uncover all your rocks, which is educational and fun. There is a difference for children and below you will find some of the best science experiments for children that the current market has to offer. Each one is filled with fun ways to explore concepts and scientific ideas that are usually not accessible to a kid. Each one has been designed with careful planning and that is why these are the best for children aged between 6 – 8 years. There is everything from weird and funny experiments to more focused and fascinating one, but each is special with the thinking behind it that let’s get the kids learning in a fun and innovative way. The educational benefits for children enjoying learning have the ability to transform the world and create a better way of understanding education as w whole. Loads of activities for little wizards wanting to learn about all the magic of science and with this kit they can figure out some fun ways to make colorful potions and more. There are 9 activities in total and each highlights a chemical reaction to something. The Hocus Pocus can be fun when frothing, foamy and color-changing potions come to life. 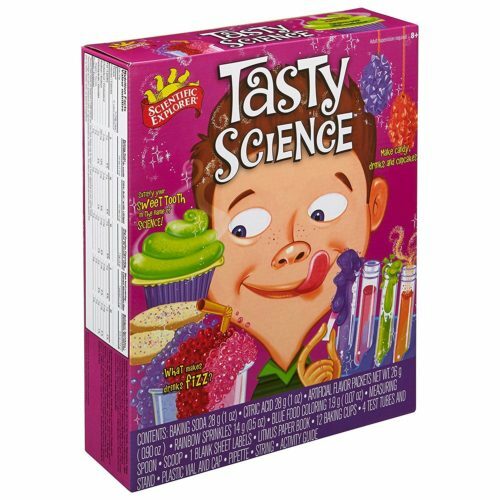 This comes with a few test tubes and wants to help add the excitement to the game for children with a wild and fun imagination. Use elements such as; citric acid, vegetable oil and make potions. This is a science kit with a kick and makes 9 cool experiences come to life with learning activities about how the center of gravity works and loads more. This helps get the kids learning about problem-solving and encourages thinking like a scientist would. Try the root beer trick that involves genie-like magic and all that’s needed is some short rope and the ancient tricks come to life. 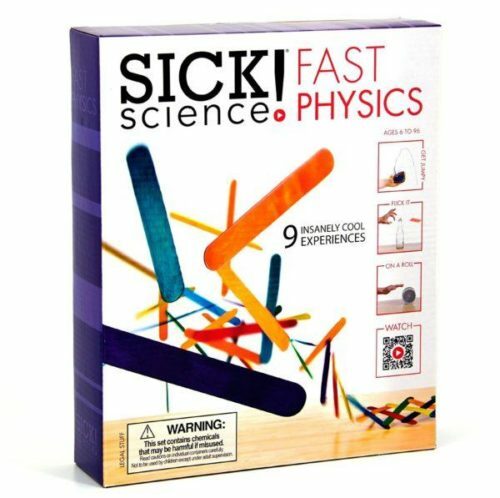 Another Sick Science game that uses 9 physics principles and brings them to life. Kids will learn to use potential and turn it into kinetic energy. This is combined with other concepts like gravity and acceleration to begin unfolding complex ideas into manageable step-by-step lessons. There are all the fundamentals for making Newtons laws come to light with easy to apply and with the educational insights for kids to spectate and demonstrate. kids.nationalgeographic.com have created an amazing game to turn crystals into glowing rocks. They glow in all sorts of colors and are fascinating to watch. This is an easy way to start showing kids how the natural world is stunningly beautiful and has mysterious beauty. There are loads of collectible gemstones and with this kit, you can watch them light up and shine brightly from the comfort of your home. 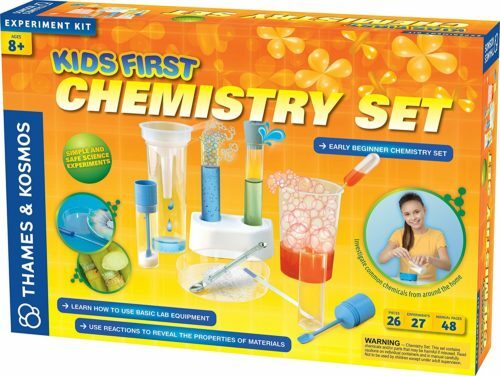 This ‘Kids First’ activity box set is a guided experiment to get the fun back into learning, which is essential when the little ones are struggling with chemistry. This slowly introduces different concepts and chemical components like carbon dioxide and allows the invisible effects to be the highlight. This Kids tasty science experiments go down a treat, especially when they are edible. You can test your child’s culinary skills with learning activities and eat them afterward. This scientific explorer shows how cakes rise and why soda pop makes that fizz. This combined with all the food flavorings, sprinkles and food coloring’s makes this fun for a combined effort for child and parent bonding. 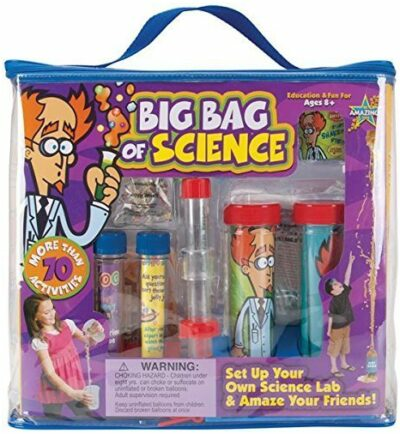 This is a bag fully loaded with over 70+ scientific learning activities that make humor and education come together. This comes with loads of equipment and features a large array of materials which combine to make fascinating experiments. There is everything from witty experiments where you have to figure out why a diaper is so absorbent and even learn why a magnet and compass are important. This is an experiment to make the child’s imagination run wild with excitement and wait to you see the anticipation build. You will get to see the bottle fly at surprising speeds and will make a rocket out of an old bottle. Every child at some stage wanted to make a rocket to go to the moon and this rocket racer is as close as they might get to the real thing. Learning how to use everyday household items and make them environmentally friendly is a fantastic lesson for all children to learn. 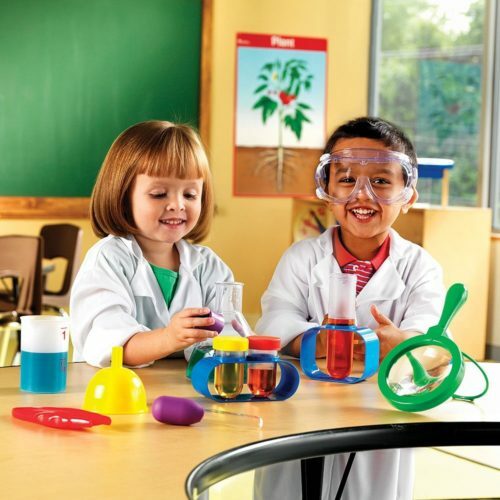 Green science is a leading brand and makes excellent toys and learning kits for kids. Contained in this box is how children can take everyday items and use them in a way that reduces waste and help promote a recycling mindset. The activities are varied and the booklet makes this a step by step guide to finding how this can complex area of concern made really easy if you focus on the fun surrounding it. Make 7 different toys each with unique experiences. 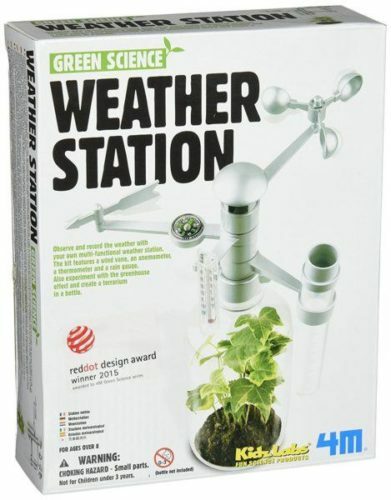 There are also other kits from the same brand “green science” like; weather station, windmill Generator, green rocket and dynamo torch. This is for the kids that love tech and science who also want to make the robots for the future. 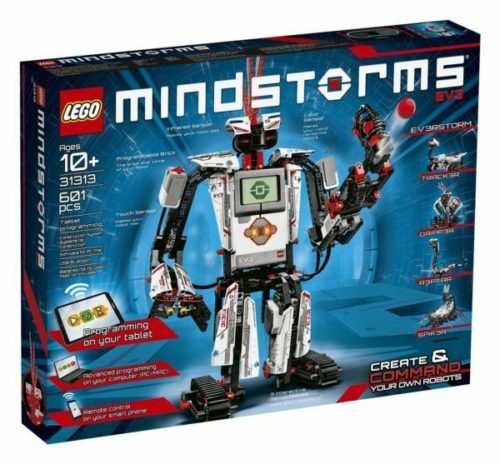 This is designed to get your child thinking like a robotics engineer and with the double brain block, they are well equipped to begin the long road ahead in learning how to make robots. This is a unique gift and for those parents wanting something where the imagination is set free to explore creation with a little guidance then this is the bit of kit they can rely on. The combination of joints, hinges and a strong construction has developed this into an excellent robust kinematic toy. The pack includes 140 steel spheres, MOSS blocks totaling 52, which can make loads of combinations that produce unique robots. Kids get to learn about weather and observe the conditions around them through a systematic set of tools and principles. This takes happenings from around the home and sheds wisdom of how the weather can be observed and then used for other purposes. This is a unique toy full with educational tools to measure local conditions and weather. This is ideal for parents with children that enjoy learning about nature and like to spend time in the greenhouse already. Science pranks and funny gags are some of the best ways to get kids into having fun and learning. Science explorer makes educational toys and experiments with the fine line that sometimes happens back at the labs downtown. 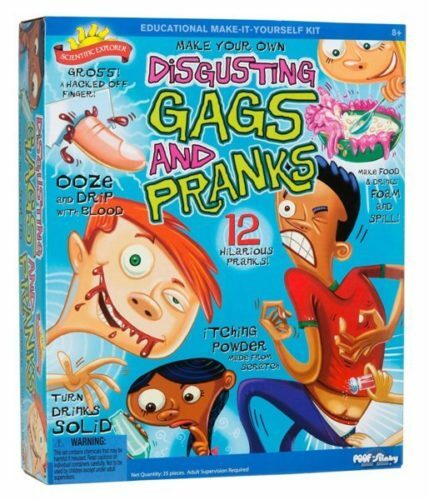 There is loads of laughs and giggles to be had with this kit, which is filled with loads of gross and disgusting gags that make people horrified into concern. There is a capsule to fill your mouth with blood and another one to pretend you’re finger is cut off. This comes with an experimental station to begin exploring 40 experiments that need a little scientist to use and take control with. The Smart-Lab have taken the basic of chemistry and created a game that looks great and highlights ways subjects like this can be fun to learn about. There is loads of tools and equipment for them to begin learning and using. This has been designed for children and although some of the chemical sounding names can be confusing this is very safe and easy to use. This includes test tubes, cylinders, snap clips, calcium chloride and loads of laboratory tools and devices for using. Easy to use and follow booklet with step-by-step instructions. 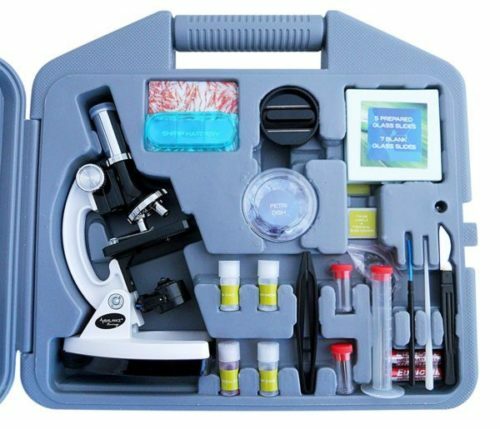 Balance Living produces quality microscopes and this all-in-one kit is ideal for children who like to explore and appreciate the smaller things in life. This introduces science in a fun and friendly way with easy to use slides, which get the creative exploratory ideas flowing. This has large magnification lenses can zoom in on objects that are very small, which combined with the 2AA battery light design makes this easy to carry and use. 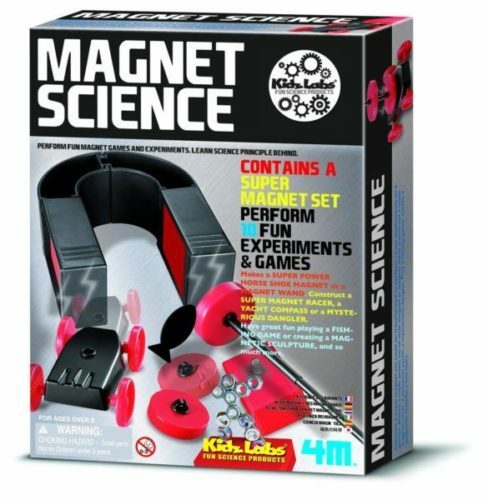 This magnetic game is full of fun ways to learn about magnetism through games and educational activities. The magnet is powerful enough to make the experiments perform and do things most others wouldn’t. There are games that involve racing, dangling things and yachting with a compass. Each activity is designed for children 8 years and older, but the hands-on style really suits a wide range age. There are some well-known brands in the production of scientific games, box set and kits and Thames & Kosmos are one that does create some of the best. They are a German producer and make sets that are easy to follow and fun for testing with. Make sure to read which ones are and you will be very happy with them. Thames & Kosmos are a brand that creates and produce many experiments for kids. They aim to educate and make science enjoyable through experimental games and activities. 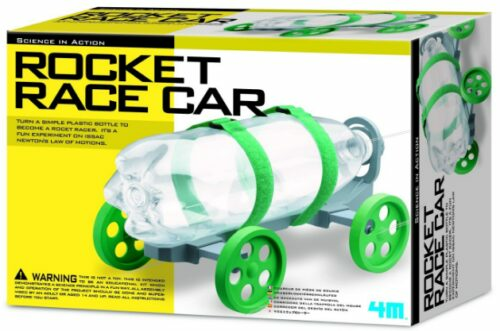 This is a physics kit with 212 parts in total and explores topics like air and water resistance. This is the beginning before moving into complicated physics like; hydraulics, energy, and pneumatics. 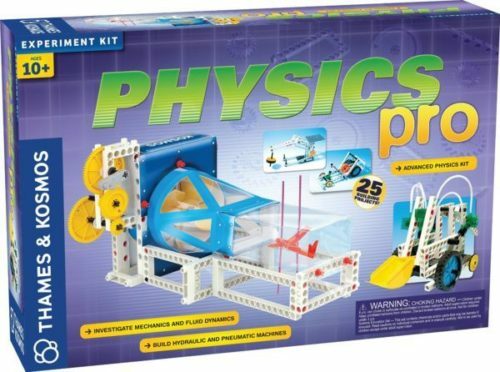 This physics pro kit gets your child to build and explore hydraulic and pneumatic mechanics by building a machine. The models are easy to use, but still challenging enough, which is why they get the kids to build a wind tunnel and hydraulic lift. There is always a time when the scientific community uses intelligent AI to their advantage and with the scientific programming, children can use their knowledge now to begin to design their future. By creating and commanding your child will slowly begin to understand the language of the programmer and with every bit of technology governed by this, it’s a good thing to try to learn about. This slowly takes and guides the user to a place where they can combine the science with art to produce and fully functioning robot. This contains within the box 103 unique pieces of lab equipment to be able to make things look fascinating, which is great for young enthusiastic kids to start taking chemistry and science seriously. There are loads of ways to start experimenting and finding out new and cool facts. There is a total of 333 experiments that can be done with combining different chemicals and this helps make the Chem C3000 last more than just a day’s activity. The smallest things in life are sometimes the most fascinating and with this experimental nano kit the kids can look at tiny structures that most would never stop to think about or appreciate. There are nano-particles in everything and they are used in everyday life. 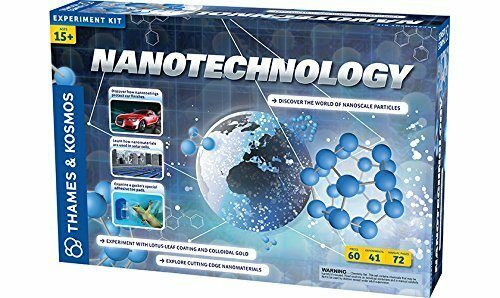 With this box set, they can begin to find and uncover the nanoscopic world. Use and finds out about 5 topics; secrets of the gecko, water attraction and how it also repels, suspended particles and each one is different and makes the imagination ponder. There are so many different kinds of science kits available for kids these days. Here, we will outline the main types so you can make a decision as to what best suits your child’s needs, interests and skill level. Children aged 5 years old want different science experiments and games than a child of 8 to 10 years old. The manufacturing guidelines are usually strict with what age groups can use these kits, so make sure that you don’t get your teen child something that should have been for a younger child. 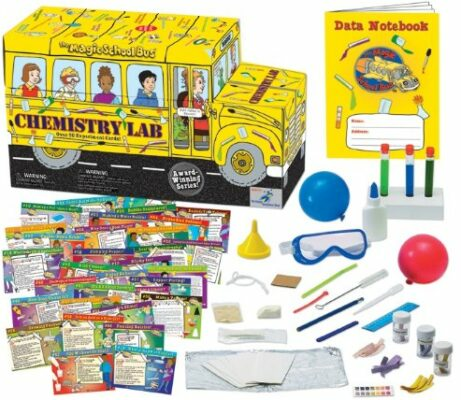 Chemistry Kits – Perhaps the most classic of the science kit options, these are great for kids who are interested in learning about how things work. There is a huge range of kits in this bracket, ranging in features and suitability. There is a chemistry kit for just about any child, and with a bit of research it’s easy to find one to suit your child’s age and ability. Geology Kits – These fun kits typically involve the user digging out the rocks with a hammer and identifying them on a chart. They might also include fossils and gemstones, to make the dig even more exciting! This type of kit is great for getting kids interested in nature and the world around them, in a fun and interactive way. 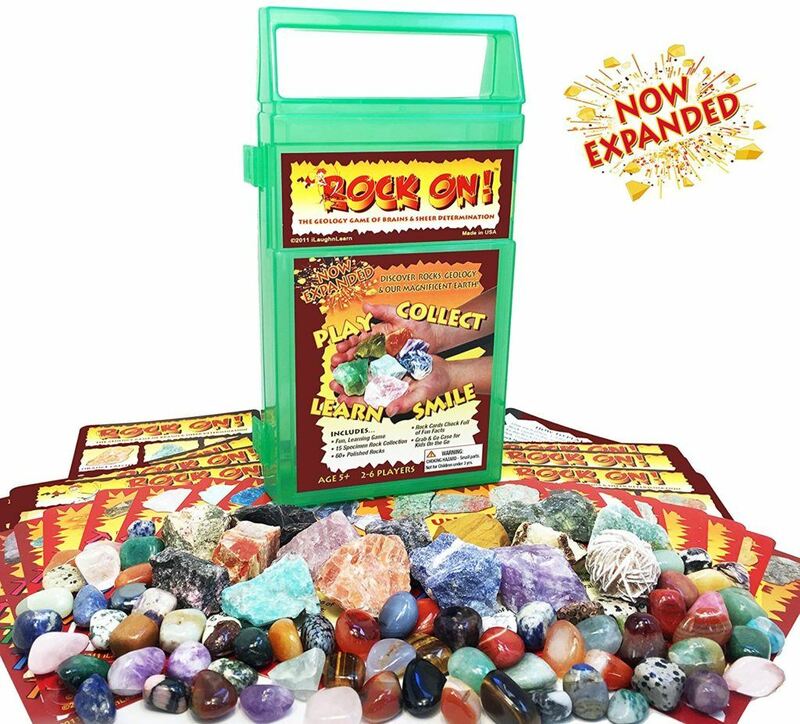 Geode Kits – For any child who thinks rocks are boring – a kit where they can break open their own geode is a great way to change their mind. National Geographic is a great choice if this is the type of kit you are looking for. Their products include hand-picked geodes and come with safety goggles and a stand for your child to proudly display their treasures. A great choice for children aged around 6 years old and above, they’re sure to be more interested in Earth science after this experiment. Robot Kits – Robot building kits are becoming more and more popular, with a huge selection of products now available. They are available for a range of skill levels and ages, from elementary school-aged children to teenagers. Some robot kits also come with a smartphone app to allow the robot to be coded, for even more educational fun. Rock kits – This area tends to include those already covered such as geodes and geology kits, as well as crystal growing sets. They might also include rock collections, which your child can identify then how off their knowledge. Another great product coming under this category is the rock tumbler. Using this special machine, kids can turn ordinary rocks into shiny gemstones. Kids can then get creative and turn their new rocks into keychains, jewellery, or anything they fancy. A great way to combine science and art. Physics – There is a huge choice of science kits for kids covering physics topics. They range from building moving models to investigating cause-and-effect. There is such a range of physics kits available, there’s sure to be something to amaze and entertain kids of any age and ability. 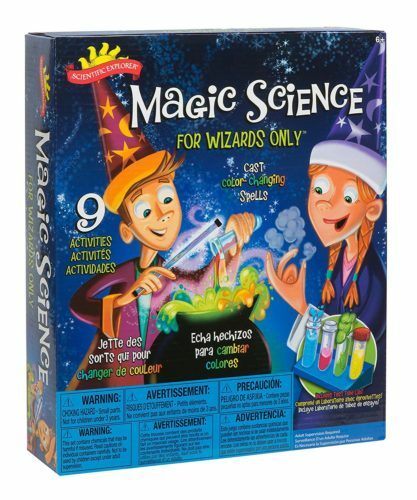 Magic Science – These kits are great for entertaining younger children, whilst also helping them understand basic scientific ideas. They are perfect for introducing kids to science in a way which is so fun they won’t even realize they are learning at the same time! Volcano – This is a fun experiment that can be done at home, and is sure to amaze kids of all ages. Kids can build their own volcano and make it look just how they like. They can also add grass or plants to make it look even more realistic! Crystal Growing – This is a classic science experiment which can be done easily at home, with readily available items or the use of a special kits. 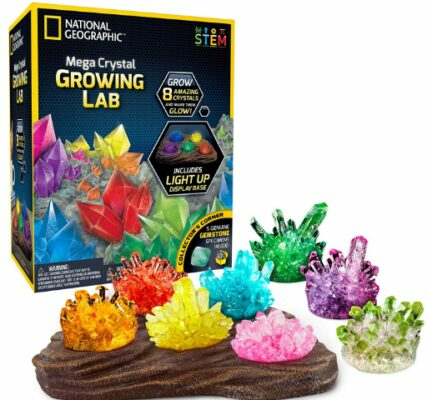 Kids will be fascinated to see their own crystal growing each day, and they will be learning all the time, too. Prank Kits – These types of kits are great for kids who love to play pranks on their siblings, parents and friends. Whilst they are perhaps not as educational as some other types of science kit, you can guarantee your child will have a ton of fun pulling pranks on others. 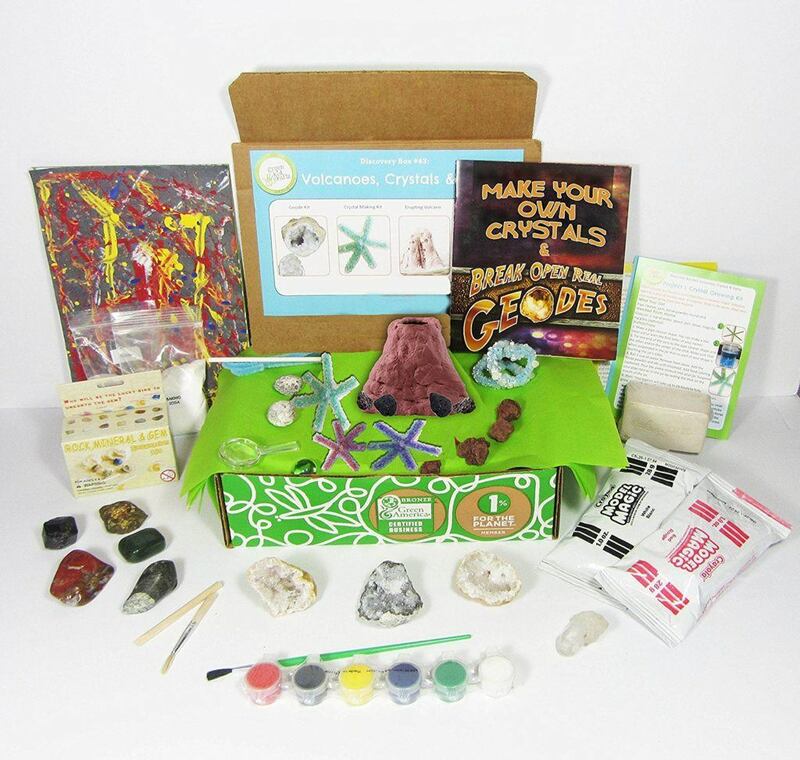 Ocean Kits – This area covers a range of different products, ranging from sets where kids can dig up shark teeth, to growing their own crystal coral reef. If your child loves the sea, there’s sure to be an ocean science kit to suit them. The science kit which will be best suited to your child largely depends on their age, and their abilities. Here, we outline the key things to look for in a science kit depending on the age of your child. Children in this age group benefit from a kit which will prepare them for learning more about science at school. Look for kits which teach basic scientific principals, with a bit more detail and explanation. Kids this age will love to do experiments with their parents, and you can help them to gain a deeper understanding of what they are doing. Kids this age will probably enjoy a whole range of different science kits. It’s good to look for something which will help with what they are learning about at school. Pre-teens are becoming more and more independent, so it might be worth looking for an experiment kit which is simple enough for them to do alone, but still hard enough to keep them entertained and learning. Young teenagers will enjoy more advanced science kits, and in particular robotics kits are great for older kids. Kids who love their gadgets and technology will love a kit like this – it is a great way to combine technology with physical skills and education. There are many different considerations and some more obvious than others. 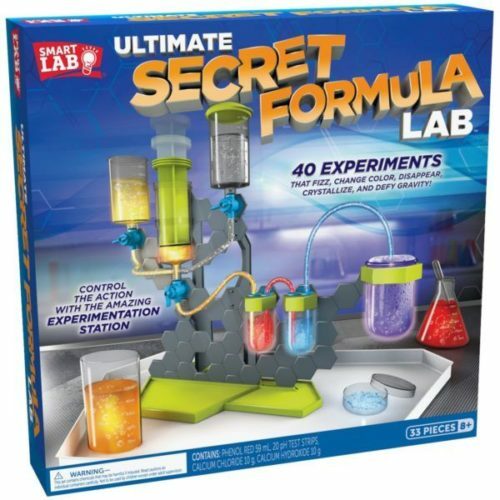 I will highlight some ways to ensure you find the ideal experiment gift set for a child or someone’s else’s. All the experiments have been carefully selected and adhere to the Consumer Product Safety Commission known as the CPSC. These kits are as safe as can be and you can be rest-assured that each one has been carefully picked to be ideal for each particular child’s age. Each branch of science has it’s own teaching and studying methods, which is why learning with guidance refines their kids to learn in an approach that makes them more knowledgeable in the long run. Combine theory and practical application has always been a preferred method for advancing and refining, which is why scientific discoveries continue to happen. The manuals in these science kits have a step-by-step guidance approach with book learning that makes information easy to learn, just like a classroom. There is a clear line between experimenting with a homemade science kit and one that is paid for. I like both, but it is easier for children to use and be left to their own devices with the kits that come boxed up. These have all the equipment needed, usually labeled and comes with clear, distinctive and easy to use manuals for conducting the experiment. The tools and apparatus are unique to each kit and will some having as many as 300+ gadgets and materials they can get really interesting. There is things to setup each experiment and store away when finished. 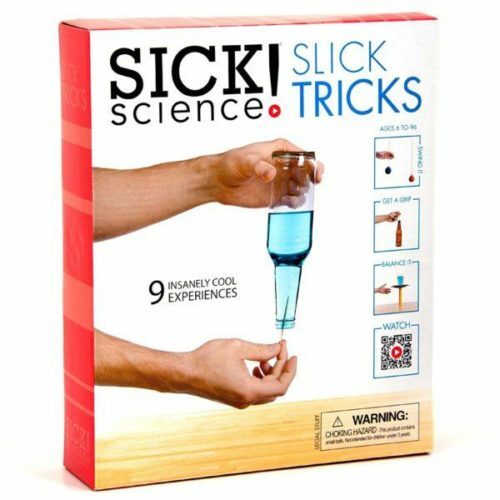 Each experiment is different and comes with unique magical properties for learning, but the general rule is fewer liquids come with box sets for children aged 5 and under. Therefore the same rules should be applied when making from home, so keep safety high and risk low and keep the fun going. There is a wide range of prices and considerations about what the best science kit is can sometimes be hard at face value, which is why we have reviewed each and highlighted the cost of each. There are certain kits that cost more than others and some of the most expensive ones are usually the robotics and chemistry kits. The premium These can be in excess of $200 and pricey for those wanting to have fun, while others might see this as a small price to pay for their child’s learning and development. There are much cheaper and budget experiments under $30, so make sure to find the right one with the affordable price tag. I believe all children have the potential to be the next latest and greatest scientific inventor, but they just need to get things started. Holistic learning and hands-on approaches to teaching complex ideas make the difficult a lot less so. Absorbing information and fine-tuning their ability to sit and focus on one project will help set the foundation for them to become able to learn in a coherent and disciplined way, while also being fun. Sometimes classroom learning leaves out the fun and resources and funding limit the options, especially with crowded classrooms. This is why here we aim to highlight the importance of one to one teaching and a good student comes usually from a patient teacher. Wisdom and guidance combined with excellent equipment could save lives in years to come and what seed is planted today with creating the foundation for life to come in the future. There are many different types of children’s scientific equipment and learning activities and here we will review some of the best and feature the highlights and reasons to choose one over the other. Some like to use home-made diy type science activities and others prefer the box sets that come all prepared. Both are fantastic and we applaud the parent willing to spend the time going through kitchen worktops and cupboards to make learning enjoyable for their kids. Some of the science kits and experiments that we will explore in detail are ones that range in ages from 3 years old to 15 years old because certain ones require more technical ability and young children need to be safe. Below are some of the main considerations when deciding which is best for your child. There are loads of different brands that specialize in creating and making kids science experiments and here we have chosen the best of the bunch and created a clear winner with each age and type. There is a total of 10 activity kits in the 3 to 5 year old’s section in this review and each one is different, covering various areas of scientific inquiry, from deep volcanic elements to the human anatomy of the human body. This is one of the most important aspects of an experiment and one that needs to be thought of thoroughly. Most of the time this is simply making sure you have checked the manufacturing guidelines and not mistakenly misread the 3 years old sign as an 8. Make sure an adult is around or it is safe for experimentation all alone. Don’t eat or drink around the experiment, because drinks can sometimes get mixed up with all the excitement. Keep hands away from mouths if using chemicals, products or solutions. Eyes are sensitive and if you need to rub them wash hands. Unused chemicals should never be put into the bottle it originally comes from, which is taught to older children at high-school. Must use, is required to, goggles, coats, gloves and any safety wear to ensure you and your children are protected. Clean equipment like; beakers, test tubes and anything that might have a crack in it. 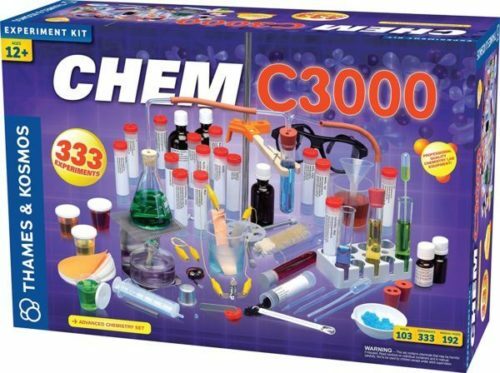 There isn’t any hot apparatus use in the kits and science games in this review, but it’s ideal to make sure if you’re choosing to copy one online then follow strict safety precaution steps. Call the emergency services straight away if anything goes wrong. However these are all well-tested and very safe for the ages provided by the manufacturers, so rest assured this is only a formality, but it is good to be safe and start young with proper preventative measures. After all, what you start now will set the example for what they grow up to be.